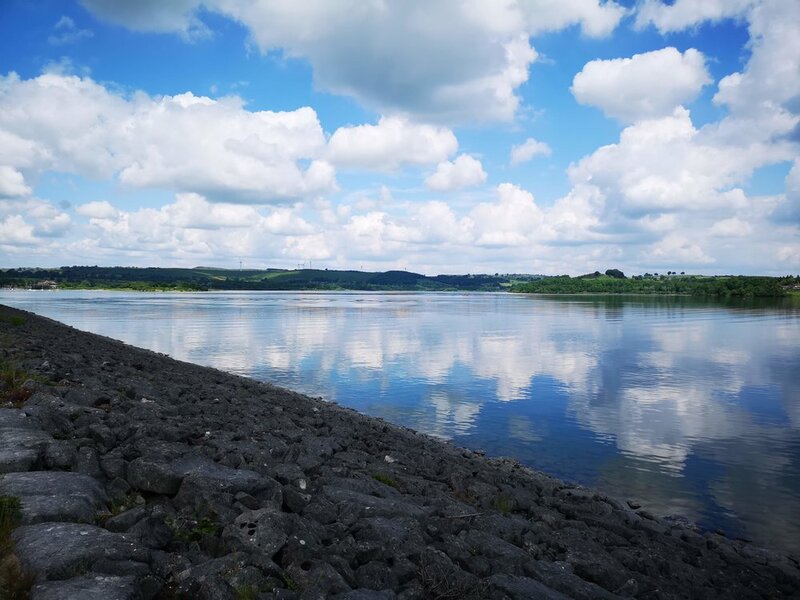 Carsington water is somewhere we have been a few times and it has a very easy to follow path that is used at times by walkers and cyclists and at other points splits into dedicated walking and cycle paths. There is a section of the route that follows away from the lake and into a small village, and this is what we have mapped here. We started at the main visitor centre, there is a large amount of parking and it's very assessable and we settled on a clockwise route around the lake. Heading off into the trees we soon passed a few bird watching points along the long winding paths which pass over a creek and then past a large farm. Swinging around the farm towards the water then sends you along a very long straight path that eventually arrives at another small car park. Walking along the edge of this heads back towards the trees and eventually you hit a section where you can cross the B5035 (taking care as it can be busy), or head right and follow the route around the lake. 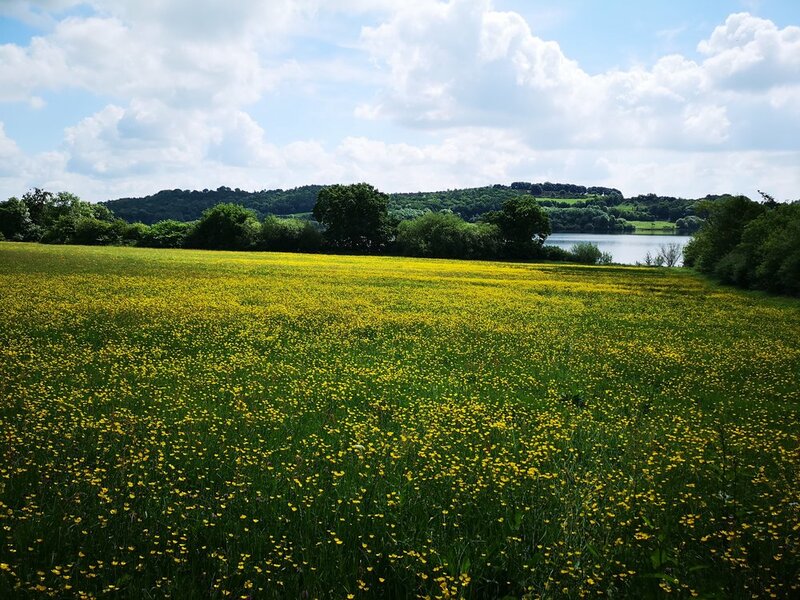 We headed across the road and into the small village of Carsington. There are loads of small cottages and a pub if you want a quick rest or bite to eat but once into Carsington the main route takes you right along the road. This is a very quiet road, but obviously take care as it's still a road. It is the official path, so drivers do tend to take care but its better safe than sorry. As you get to the edge of the village, there is a grassy section that you can walk down to the right and head back towards the lake. Again, you will need to cross the B5035, but taking care this is fine. Upon crossing you are back on the wider path with views of the lake and trees either side of the path. After a little walking there is a path to the left for walkers, this is a great part of the walk you head up into the forest proper and on a hot day, it's a nicer cooler section. After getting through the forest you are welcomed to some fantastic views, as well as a few spots to sit and eat lunch. You follow the trail along parallel with the lake for a large chunk of the walk now, there are lots of trees, wild flowers and wildlife around, but the views of the lake are quite obstructed at this point. Most of this is a Cycle route too so you have to pay a bit more attention. Eventually you arrive at another car park where there is usually (on a nice day) an Ice cream van and it's here you turn right and head back towards the visitor centre. This is done via the very flat and straight dam which gives great views out to the countryside as well as the lake itself. Arriving back at the visitor centre you pass a large grassy section which even has a BBQ area. The visitor centre also has lots going on and is worth a visit while you are here.